The Arachnology Lab, headed by Lorenzo Prendini, Associate Curator (Arachnids and Myriapods), includes permanent specialists, various laboratory assistants, postdoctoral fellows, and Ph.D. students. 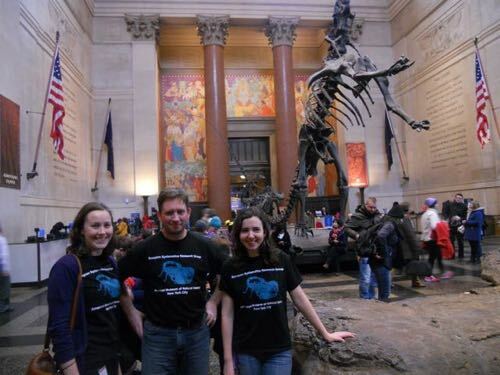 Every year, the Group accommodates several visiting scientists, undergraduate students, high school students, and volunteers. 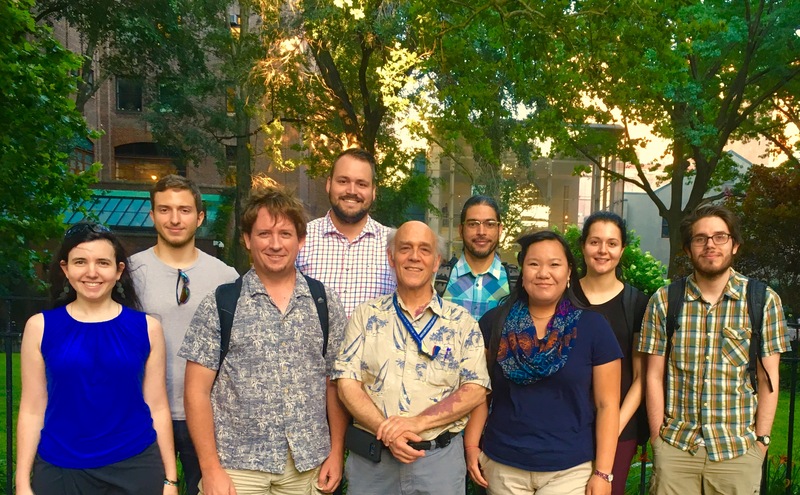 AMNH Arachnology Lab Group, August 2018. From Left to Right: Stephanie Loria, Max Roppo, Lorenzo Prendini, Diogo Casellato, Lou Sorkin, Pio Colmenares, Deborah Chin, Victoria Long, Jayson Slovak. AMNH Arachnology Lab Group, September 2017. From Left to Right: Pio Colmenares, Ivan Magalhães, Lorenzo Prendini, Tebogo Lebwada, Lou Sorkin, Gerardo Contreras, Rodrigo Monjaraz-Ruedas. AMNH Arachnology Lab Group, August 2017. From Left to Right: Stephanie Loria, Lorenzo Prendini, Pio Colmenares, Jayson Slovak, Deborah Chin. 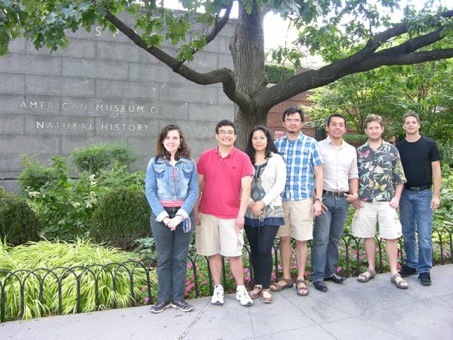 AMNH Arachnology Lab Group, August 2015. From Left to Right: Lorenzo Prendini, Gustavo Miranda, Debbie Alwill, Diogo Casellato (back), Stephanie Loria, Bastian-Jesper Klußmann-Fricke (back), Michelle Locke, Chelsea Silva, and Billy Conlan. AMNH Arachnology Lab Group, January 2015. From Left to Right: Michelle Locke, Lorenzo Prendini and Stephanie Loria. AMNH Arachnology Lab Group, August 2013. From Left to Right: Pam Horsely, Stephanie Loria, Lorenzo Prendini, Massimiliano Roppo and Muhammad Tahir. AMNH Arachnology Lab Group, August 2011. From Left to Right: Stephanie Loria, Adam Getzler, Ofelia Delgado, Edmundo Gonzalez, Carlos Santibanez, Lorenzo Prendini, and Randy Mercurio. 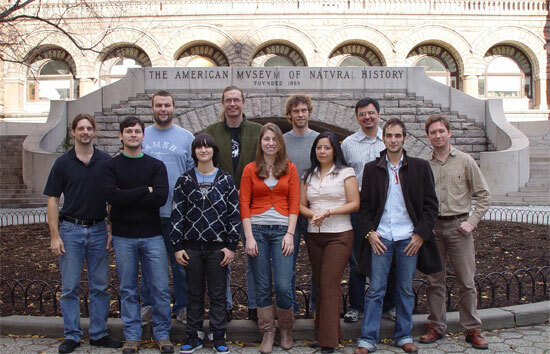 AMNH Arachnology Lab Group, 2006. Clockwise from top left: Jeremy Huff, Erich Volschenk, Lionel Monod, Edmundo Gonzalez, Lorenzo Prendini, Valerio Vignoli, Ofelia Delgado, Monica Mosier, Lauren Esposito, Camilo Mattoni, and Randy Mercurio. Scorpion Biologists ICA, 2007. 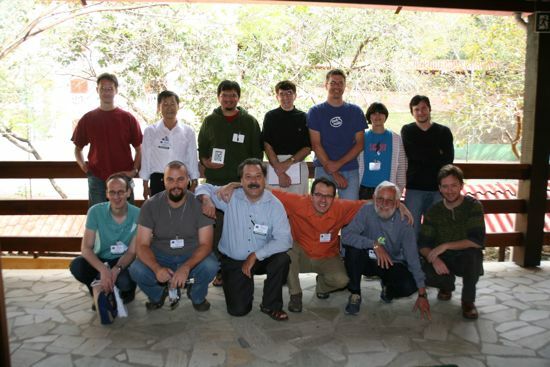 Clockwise from top left: Carsten Kamenz, Mingsheng Zhu, Edmundo Gonzalez, Roger Farley, Erich Volschenk, Lauren Esposito, Camilo Mattoni, Lorenzo Prendini, Oscar Francke, Ricardo Pinto-da-Rocha, Warren Savary, Jeremy Huff, and Jason Dunlop. BSI Solifugae Meeting at DMNS (October 2007). 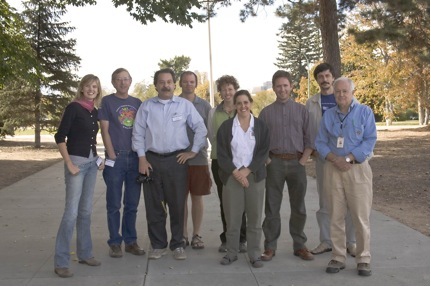 From left to right: Kristie Reddick (TAMU), Bob Wharton (TAMU), Warren Savary (CAS), Aaron Spriggs (DMNS), Tharina Bird (NMNW/CSU), Paula Cushing (DMNS), Lorenzo Prendini (AMNH), Sasha Gromov (IZAK), Jack Brookhart (DMNS). AToL Morphology Scoring Party at Smithsonian USNM (December 2008). From left to right: Petra Sierwald (FMNH), Jonathan Coddington (USNM), Lorenzo Prendini (AMNH), Gustavo Hormiga (GWU), Charles Griswold (CAS).